Me: "Look at this awesome teal polish!" Camera: "I'm pretty sure that polish is actually bright blue." Me: "No camera, it is teal. Let me try all of your different white balance settings so that you can see that too"
Camera: "Nope, still blue. Always blue. Look at the blue!" Me: "Ugh, you're going to make me adjust the colours later such that my skin get a weird yellowy green glow aren't you." Camera: "Yes. Yes I am." Enough was enough. 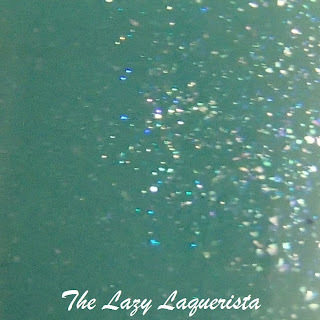 I wanted nice swatches of teal polishes so I went around every room in my condo trying to find lighting in which my camera would see teal as teal. Everything from halogen bulbs in the kitchen, LED's that are on my saltwater fish tank, incandescent lighting in the bedroom and then finally, the bathroom! It has a perfect combo of fluorescent and incandescent lighting such that my camera and I agree that my teal polish is teal!!! 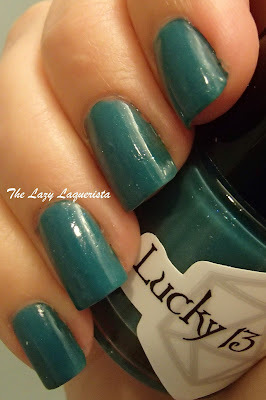 This leads me to the first polish of this post, Lucky 13 Lacquer InstaTEALable. We'll talk about Revenge is Suede after. 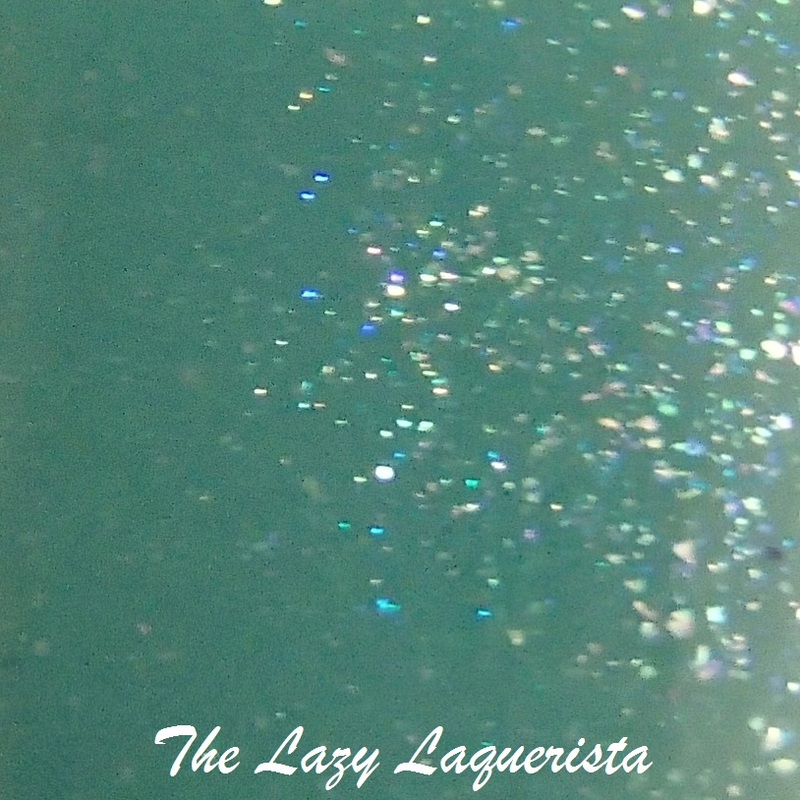 InsaTEALable is a teal creme polish with a subtle silvery blue shimmer. The formula was easy to apply and it took me three coats to get opaque. Pictures show three coats of Instealable with one coat of CND Super Shiney top coat in a combination of incandescent and fluorescent indoor lighting. I've been wearing this polish for three days now and still don't have any chips which is really good for me. Next up is Revenge Is Suede. This top coat is a matte polish lover's dream. It adds a soft matte shimmer to whatever polish is underneath. You can turn any polish you own into a suede finish polish in under a minute. Seriously, this top coat dried in about 20 seconds for me. The photos above show one coat of Revenge Is Suede over InstaTEALable in a combination of incandescent and fluorescent indoor lighting. 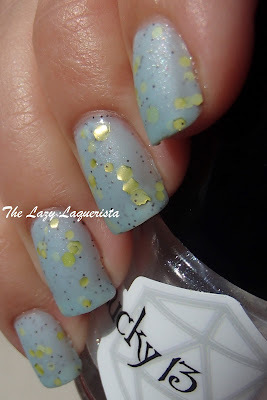 What if solid creme polishes aren't your thing? 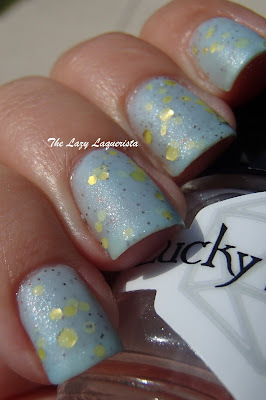 This topcoat looks great over glitter packed polishes too. Below shows one coat of Revenge Is Suede over Softening The Bad Things in natural sunlight. 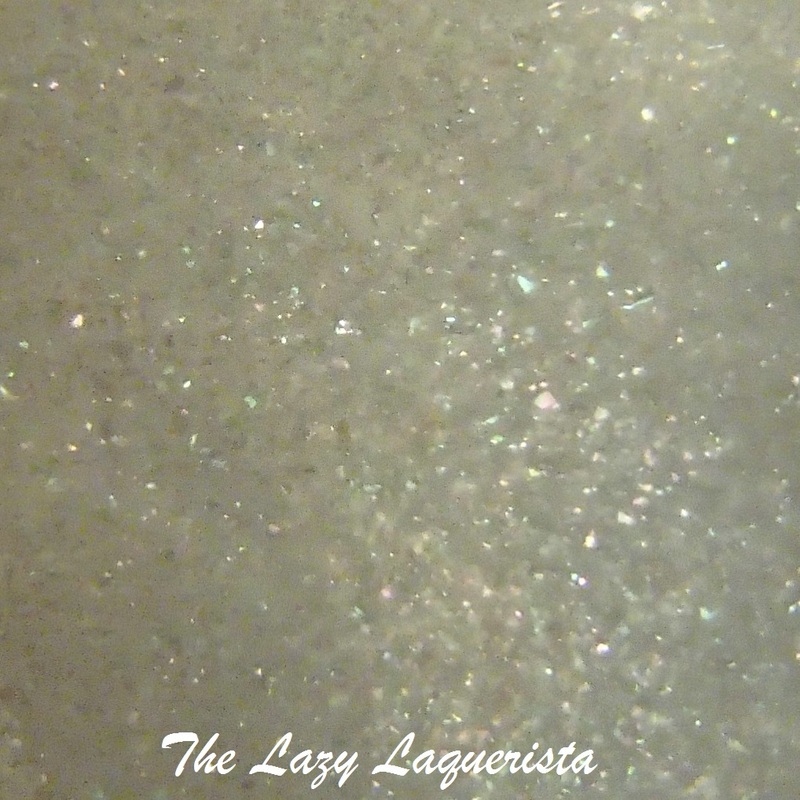 I really love the suede topcoat and glitter polish combo. It just makes the glitter look so soft and delicate. 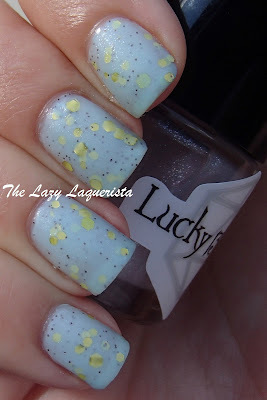 As per usual I'm loving these Lucky 13 Polishes. When she announced her Teal collection a couple months back I knew I had to get some of them and I'm glad that I did. I'm pretty sure it is impossible for me to own too many teal polishes, haha. 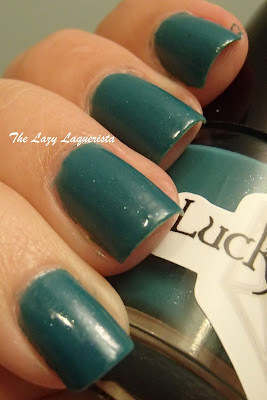 If you want some Lucky 13 Lacquer of your very own check out the Lucky 13 Lacquer shop. What do you think of matte and suede polishes. Do you think they're here for good or just a trend that will fade?